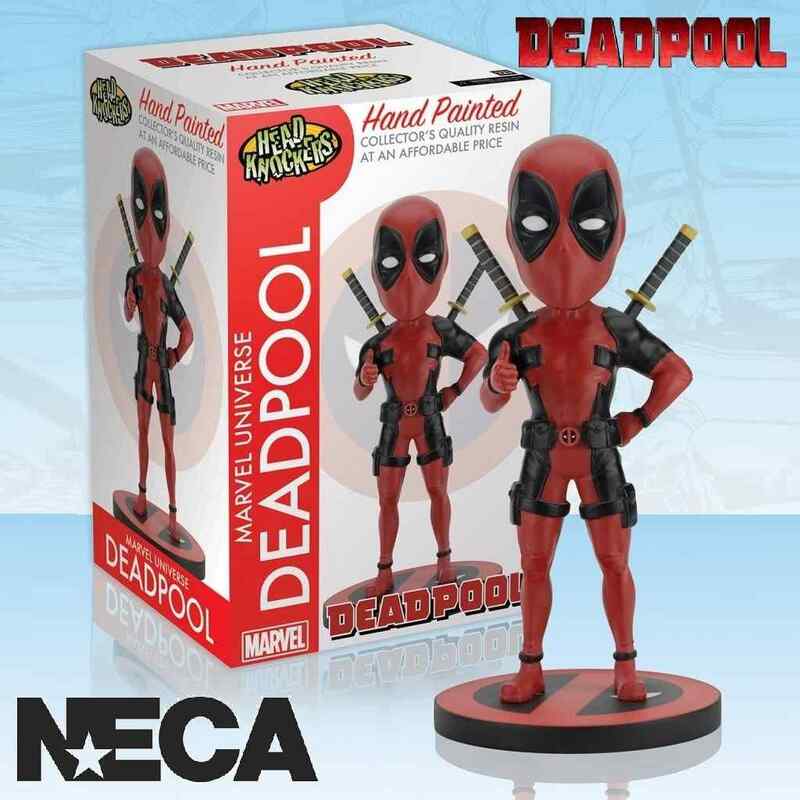 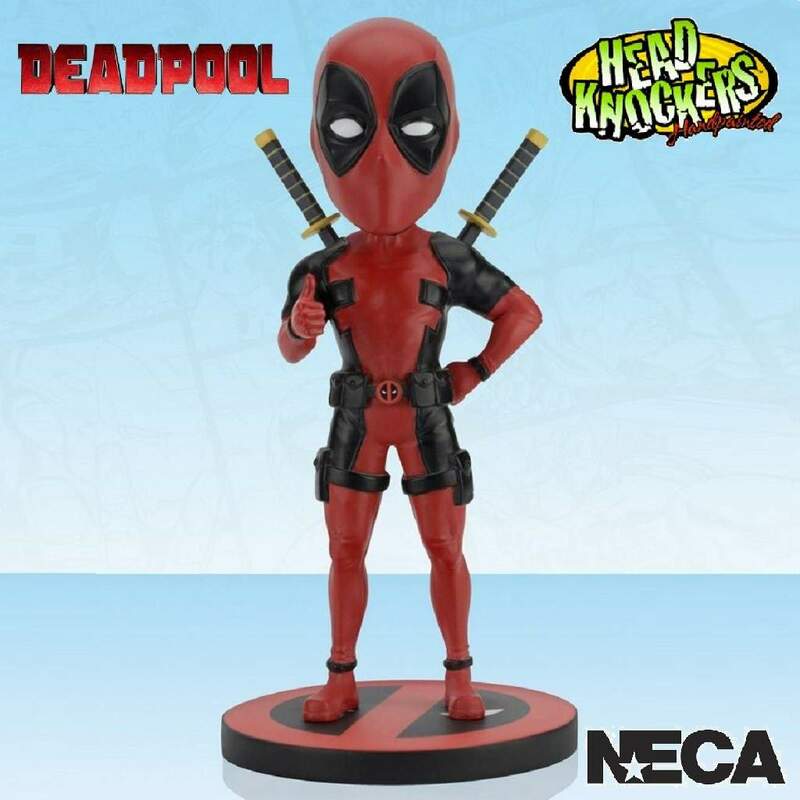 NECA's popular range of Head Knockers brings you Deadpool, the merc with the mouth. NECA's popular range of Head Knockers brings you Deadpool, the merc with the mouth and he stands approximately 8" in height and is great for any fan. Deadpool has long skirted the line between hero and villain, between maniac and genius, between ugly and smelly but the joke-cracking, reference-making, fourth-wall-breaking, taco-eating funnyman of the cold-blooded killer set is possibly the most skilled mercenary in the world… and definitely the most annoying. 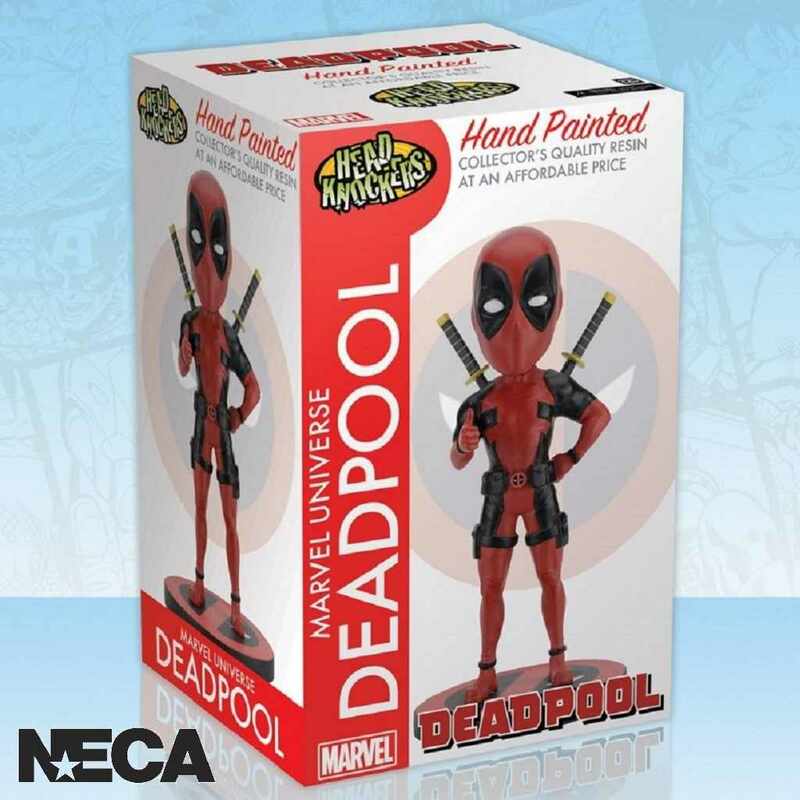 Cast in resin and hand painted for incredible detail to give you the accuracy of the movie character.